Manchester United look all set to offer David De Gea a new bumper contract, as per Daily Star. 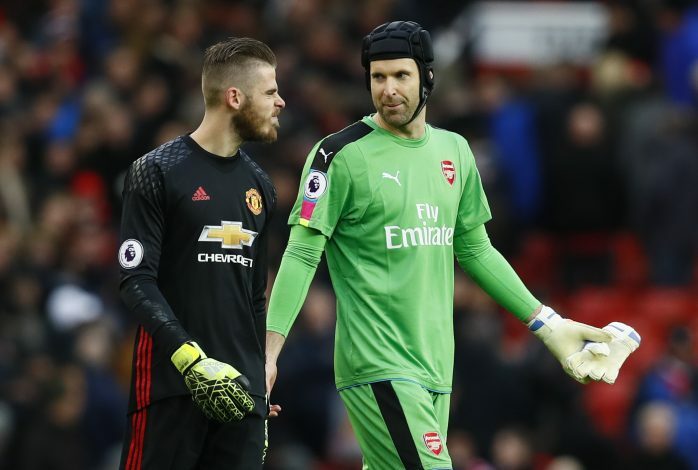 De Gea has been one of the best goalkeepers in the world for quite some time now, and naturally, he has also been the subject of interest of numerous top European clubs – especially Real Madrid. The La Liga giants have been a recurring interested party for the 26-year-old’s services, and even came close to signing him up in the summer of 2015, but the deal failed to materialize due to the malfunctioning of a fax machine in the dying moments of the deadline day. De Gea has since committed his future to the Old Trafford outfit, and he recently maintained that claim by revealing that he was ‘very happy’ in Manchester. “The future nobody knows. The future is the future. I’m very happy here (at Man United), it’s a great club. In England, football is enjoyed a lot,” the Spanish international told AS. But despite De Gea stating that he is focused on helping the Red Devils return to their best, Manchester United are keen to ward off any potential suitors in their man between the sticks once and for all, by offering the Spaniard a new bumper contract. United are therefore planning to increase David’s wages, so as to make him one of the highest earners at the club, among the likes of Wayne Rooney, Zlatan Ibrahimovic, and Paul Pogba. This would result in De Gea – who currently pockets around £200k-a-week – earn as much as £300k-per-week. Furthermore, his current deal, which still has two years remaining with an option to extend by 12 more months, will be further extended, as the Reds look to secure their star’s long-term future and put a fullstop to this transfer saga.